Posture is the position you maintain while standing, sitting or lying down. You have good posture when your position creates the least amount of strain on supporting muscles and ligaments when you move or perform weight-bearing activity. Maintaining a good posture is very important to keep your joints properly aligned, which facilitates proper muscle functioning and decreases wear and tear. Though we all tend to think good posture is important to show our confidence, it is much more than just that. Good posture actually reduces stress on the soft tissues surrounding the spinal cord, which helps minimize the likelihood of injury. It helps muscles to work more efficiently and allows the body to utilize less energy and prevent muscle fatigue. 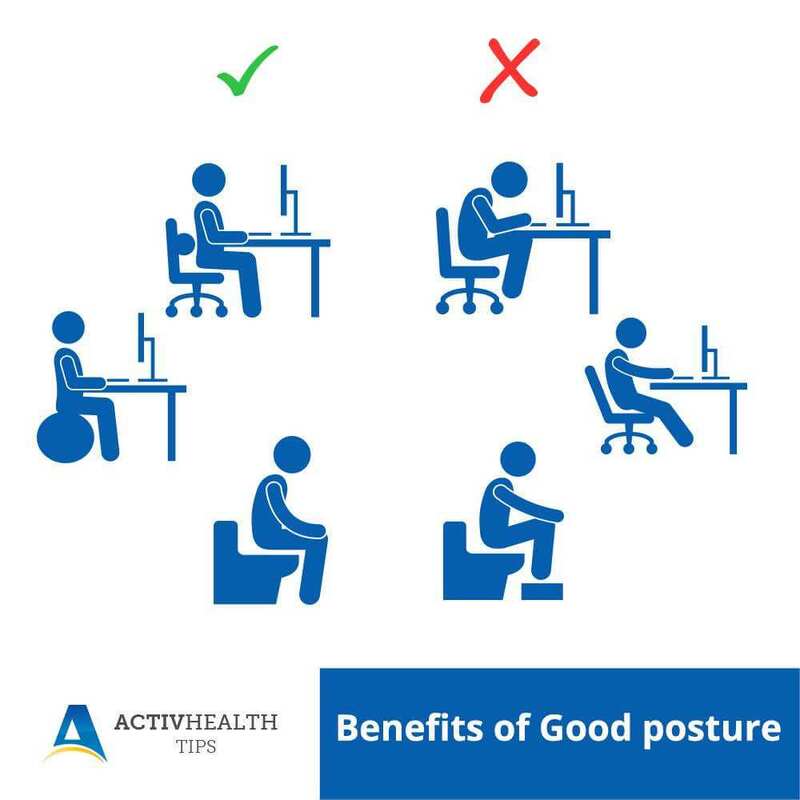 Therefore, maintaining a good posture is important not only to show confidence but also to prevent muscle strain, overuse disorders, repetitive stress injuries and postural discomfort. When a person slouches or slumps it leads to bad circulation causing your vertebrae to deteriorate over time resulting in chronic fatigue and exhaustion. Chronic back, neck and shoulder pain are primarily caused due to bad posture. How to Maintain Good Posture? Keeping fit and reducing weight can do wonders to improve your posture. Postural correction exercises help strengthen muscles, which help hold the body in the correct position.